I've got the basic framework set up as below (most to be actually filled in). 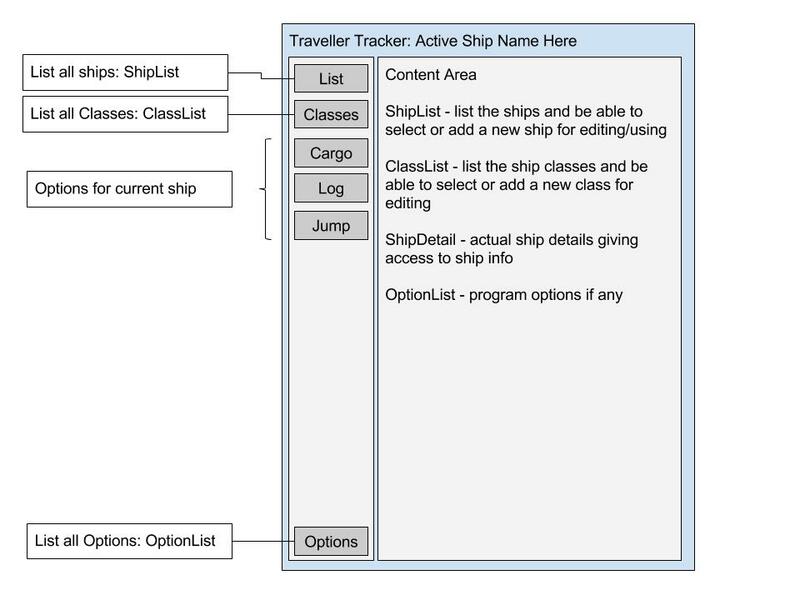 The main screen has a frame where all the content goes based on the the menu options on the left and the active ship. The plan is you pick or add a ship, and can track your cargo, fuel and all that. Repeating what I already did 7 years ago but for UWP and to actually publish on the Windows App store. 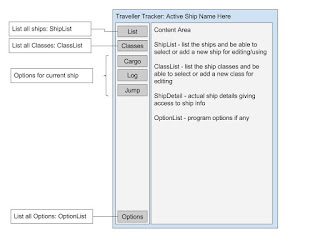 Hopefully I'll have the ship and class editors in place soon and can actually start seeing if this works.